sassyfitnesschick – Page 55 – Older. Smarter. Stronger. I have two special friends, male and female, who have been extremely successful in their quest to lose weight and get into living a healthy lifestyle. Like myself, they have done it the plain old fashioned way of taking it slow and steady, losing weight and allowing their minds to be transformed along with their shrinking bodies. They have had good days and bad on their journeys to get where they are now. Nothing happened over night, but it did happen. Now a much, much slimmer version of their former selves they have learned skills along their journey to stay successful. Eating better, eating less, building in their favorite “treats”, exercise and a positive attitude. These things all contribute to permanent success. As things go in life, all of our paths have intersected and I now have enjoyable relationships with each of these people. I found it interesting that in totally separate conversations, they voiced to me what I’ve often pondered myself on this journey. All three of us have used the illustration of crossing over the bridge. Funny, because we each had this same thought and shared it within our conversations. Maybe, perhaps, because we get it. I think most people would agree, it’s fairly easy to put weight on, but requires a lot more from us to remove it. Discipline to say “no” to things we want to eat. Discipline to pass on seconds, or foods we know won’t best support our health and wellness goals. Sacrifice to make room in our schedules for exercise or to get up earlier. Dedication to a new way of living that at first feels unfamiliar, foreign, and down right uncomfortable. Willingness to finally get real with who we are, where we are and how we got there. Not to mention a certain amount of tenaciousness to hold onto wanting to be successful like a bulldog with a favorite toy. You see that ? All those things, they start in your head. We tend to think of weight loss as just a body thing….” I’ll just stop eating to much and lose weight and it will all be fine” without realizing the huge part our minds play in the process of truly becoming successful. Why do you think people who are going to undergo major weight loss surgeries are encouraged to go to counseling classes to help them process not just weight loss but what will be required of them from a nutritional stand point? Sadly, so many of these will go back to gaining all that weight again because even though their bodies are changing, their minds haven’t made a connection to a new way of living, they are still thinking about all the food that got them to that point in the first place and wanting to eat in the same ways. 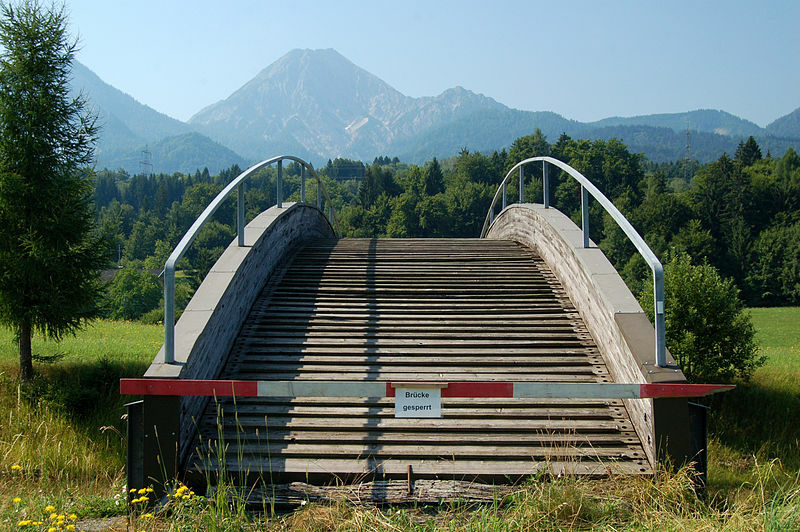 Like many others, they will not have “crossed over the bridge”. It’s that place where it all connects together and you understand exactly what has to be done, that it will be a process, and you simply settle in for the journey. You take a single day at a time. You strive to make the best choices (nutritionally) you can. You stop viewing eating good foods as a form of punishment. Exercise becomes just as valuable as brushing your teeth each day. You allow your body to slowly and steadily go through the losing part just like it did the gaining part. You get that there will be days that will bomb and you dust off and keep going. You love yourself on the journey. The journey, that crosses you over the bridge into freedom and into a new way of living. A permanent lifestyle change. Welcome to the other side. That’s all that can often consume our minds when we’ve got some weight to lose, isn’t it ? Which one to do ? Which might offer the biggest bang for our time and investment of energies and most of all yield the biggest rewards? As you read in part two of my series, sometimes the idea of starting a diet was a better idea than well, actually DOING the diet. And the best part was when I painfully struggled to the end and cried “Uncle” when I finished… or when the diet finished me…. whichever came first. Losing weight isn’t easy. It requires work and sacrifice and determination to make it happen. Often though we go about it by trying to fit into a plan that isn’t made or designed for us. We try to adapt and follow a set of rules someone else has made with food choices they have selected and we try and be good and make it work…. we do. Some of us might be successful, but for the most, it’s a reverting back to our old ways of what we know, and what we eat. What if perhaps, there was something that was more made for us as … gasp… individuals ? Something that took in to account our unique likes and food preferences ? Could we, maybe then, have success ? When I started on my health and fitness journey, there was one thing I determined early on. I was not going to make any food “off limits”. I understood that I was an adult and quiet capable of controlling myself and not splurging on the whole carton of ice cream. Somehow doing that took the power out of those foods. Knowing they were still there IF I wanted them seemed to put them in a proper place. No one was taking anything away from me. I could completely have that chocolate shake….. if I wanted it. Now I was in control. Those foods were there but I didn’t have to eat them. Imagine my delight years later finding out that even high level fitness trainers didn’t restrict themselves from occasional treats. If I had a moment I wanted something, I allowed myself a little, and moved on. Doing that didn’t cause binging or make me feel deprived or majorly crater my day…. and I moved along like that every single day. Along the way I’ve learned that my body has specific caloric needs to sustain life AND specific needs for my athletic life. Every single day can be different depending on what I’m doing. You, my faithful reader, are no different. If you’ve done your homework from the past two parts of my series, you’ve assessed the WHY of wanting to lose weight, and you were also to consider your daily life and activities as well as foods you enjoy eating. You will have set out some short and long term goals for your journey. Because now you’ll need to figure the calories YOU personally need on a daily basis to do the things you’ve listed. Calculating your caloric requirement will then allow you to build your own nutrition plan based on your daily needs. To lose weight, take your total daily number and reduce by 20%. Keeping a food log for a few weeks will help you assess where your strengths and weaknesses are. What nutritional dense foods do you eat ? What is more empty calories? What do you need to let go of ? Where can you make improvements ? I think it’s also important to think about that “thing” or two that you absolutely love and build a small portion of that into your weekly plan. If you don’t want it, fine. But if you have a craving, allow yourself and move on. With practice you will begin to figure out what foods you can eat and stay within your daily calorie intake. Don’t get all crazy and think you have to keep it an exact science. The goal is to build a sustainable plan you can keep at day in and day out and steadily, consistently lose weight. Enjoy foods you like while making intentional changes to remove or reduce foods that are not as nutritionally beneficial. Hey! welcome back to the next part of my little series =) I thought this would work better than writing a novel you’d be reading for days…. if you missed part 1…. scamper over and check it out first. I wanna set the stage here for you… since we’re talking about diets…. maybe you’ll relate. This was my strategy for success years ago. * proceed to eat all random, crappy, junk type food I could shovel in to “get rid of it” over the weekend ( because all that food would never, ever be available to me again. Ever. * decide which seriously calorie deficient diet I was gonna do, and there were LOTS to choose from. * start on Monday with lofty expectations of being slimmer by the next weekend. Engage some furious exercise. Think of all the foods I was gonna miss. * Tuesday… hunger is my new best friend. Food is always on my mind and I have fantasies about my next meal more than a teenage girl does Justin Bieber. Get on scale and check for weight loss. Get mad when it hasn’t changed. * Thursday no new change in the weight. I’m getting kinda sick of a piece of fruit, an egg and water for breakfast and similar things rest of day. Hunger sticks closer than a bee on honey. I think about…cake… and cheeseburgers… and all things fat. *Friday almost have a week down. I’m getting used to the light headedness from not enough food… besides the scale told me another pound was gone… I can handle being hungry…. I’ve been thinking about “when this is over” and getting back to normal. * Saturday… I’ve been good! I deserve a treat, or two, or three… right ?? And the whole day turns into a happy eating feast of all things that have been banished in the past week. OMG… it all tastes sooo good. *Sunday… I’m not realllyyyy needing to lose weight, am I? I mean, I never will be able to anyway…so… I might as well just do what I’ve been doing…. maybe I’m supposed to just be like this. I just don’t have the will power or strength to be successful. * Monday…. resume my old ways. Resolve to try again another day. Do you relate ? Have you done things like this ? You can tell me in the comments section. I’ve since learned a lot. There were several flaws with my plan for weight loss. → Not understanding my needs or exactly how many calories my body required to just be alive on a daily basis. At the time 1200 calories was standard diet fare ( sadly it still is today) If you were living large, 1500. Imagine my shock when not to long ago I learned that my daily BMR (basal metabolic rate which we’ll talk about later) was actually 1500 calories. This is if I were to sit on sofa doing nothing and to support the normal functioning of my body. No wonder I was hungry all the time! There were no extra calories for my daily living or exercise built in. → Removing, depriving and taking away everything I perceived as “bad” Giving power to foods and not keeping them in a proper perspective. We are living life and have to allow for it even as we pursue our weight loss goals. Occasional treats keep us on target and cut off binging. Putting foods on a banished list only made me think of them more. → Not treating my body with respect by giving it adequate food for health and living. Being hungry is a God given signal to feed our body. → Not having realistic goals for myself. I would not reach a slim status in one week. That set me up for failure…. as if not enough food wouldn’t. → Not setting long term, permanent, life goals instead of just weeks out goals. → Trying to fit my body into that standard diet and not knowing my own needs. When you and I began to grasp and understand that we should be focused on all of our lives and not just a few weeks or months, we’ve made huge progress. Eating well and movement are, or should be, what we do all our life. Now along side that I want you to consider what your needs are. Could you relate on any level to my story above ? What mental changes do you need to make for success ? Finally, think about your life. Your work , activities, hobbies, exercise etc. and consider what kinds of food will give you energy and help you on your weight loss journey. In our next post we will look at how to figure how many calories you personally need to reach your goals and most importantly how to make it your plan for success. They know I’ve been on this journey for a few years now and they are wondering what “formula” I use and would that be successful to help them achieve their fitness/health goals. I don’ t micro manage macros and micros and obsess over every single calorie. Personally, I find that really freeing, but it is a process I’ve learned for myself these past few years. Now keep in mind, I certainly wouldn’t be offering them a horrible food plan. In fact, it would (overall) probably be very beneficial to them. I have enough knowledge to help them figure out basic daily calorie needs and how to operate within that structure. But here’s the deal. Just because what I’m doing works for me…. doesn’t mean it will work for every person who approaches me. I’ve really developed my own thing over time that allows me to live my life, and do my athletic(y) stuff too. I’ve gotten a pretty good balance of how much food I need to lose or maintain my weight and operate in those boundaries. You know what that’s called? Sustainable. I’ve worked out a healthier way of eating and living that is easy enough for me to keep at day in and day out. It allows me to eat overall healthy 90-95% of the time and still lets me have some of my fav treats when I want them ( like those Peanut M&M’s 😉 and I’ll tell you, the less you eat it, the less you want it. Your tastes really do start changing with a healthier diet. As far as nutritionally from an athletic stand point, I’ve really had to teach/train myself more to take in adequate food for training because my needs really can vary day to day. Obviously, doing a 20+ mile run will require more than a 4 mile run. It really becomes a matter of learning to fine tune what each days needs are. And I’m pretty sure, you, my lovely reader, are no different. So what would tips/suggestions or helpful advice would I offer up to someone asking ? First, let’s start with this. It’s important to really know and understand your goals. What are you wanting to achieve ? Have something clearly defined… write it down or post it where you can see it. Is it primarily weight loss with the goal to improve your lab results? to lose fat, lower blood pressure, prevent disease, to have more energy, less aches and pains, and better quality of life ? To just… move better ? Do you have a specific athletic goal in mind ? Training for a 5k, or maybe a longer race? Maybe you want to learn to run. It could be cycling or maybe a triathlon. It could be you’re wanting to get stronger, build some muscles. Perhaps it’s just to get out and walk for a couple miles and not be out of breath doing it… or hurting and exhausted. You might be at a place where your weight is managed but maybe you’re wanting to focus more on building and defining what you currently have. More aesthetics. You could be highly motivated and want to do figure competition. 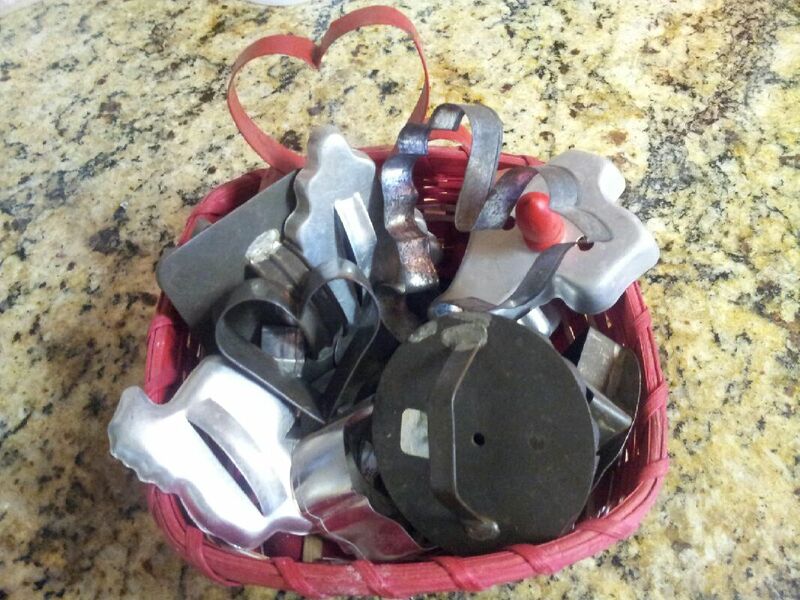 There’s a reason I titled this Cookie Cutter Diets our nutritional needs are not all alike! And depending on what our lives involve, those needs can change day to day. I believe one of the keys to success is not just jumping into a horribly restrictive food plan, cutting out all things you love, and hoping to grind it out for maybe 2 weeks, getting frustrated you don’t see instant results, and then **with a sigh of relief** at the end of those weeks, you go back to what you know and what you’ve been comfortable in. Once again you…. abandon your weight loss attempts and determine it’s to hard and you’ll never accomplish it. BUT, if you make small gradual changes, and add slow and steady exercise that doesn’t kill you on day one, your chances of success greatly increase. Now, you’re job is to determine what you want and how to go after it. Think on it, and come back for the next part where we figure out what kind of calories you really DO need each day to reach your goals, and sustain them. 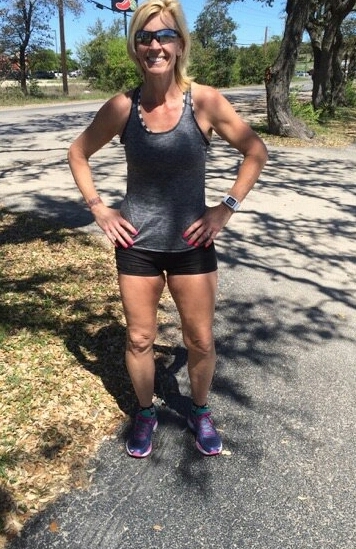 My one token picture taken after I finished my run =) I’m still standing…..
Have ya missed me ? I’ve had a busy weekend…. and as you know… my Saturday was kinda hogged by my 50K run. Half the day running, the rest of it, dragging my carcass home, getting cleaned up ( I never thought the act of showering and washing my hair was an athletic event, but it felt like it) and allowing my body some much need rest time. Oh yeah, and a lil food to replace the 4,037 calories my Nike+ watch told me I burned off. (So you know, if you don’t, anything over the full marathon distance of 26.2 miles is considered “ultra”) a 50K is 31.7 miles although by the time I got to my “finish” I was close to 32. The best way (for me) to tackle this distance, or any really long run, is not to focus on the miles in front of me, just take them one at a time, otherwise, I might run kicking and screaming the other way……..
All was well and good, miles were going by, overall feeling good. I had left the parking lot at Starbucks ( my turn around point to start going….back… the way I had just run) and a mile down was the big hill I had just run down. My legs were begging for mercy. I was almost at full marathon distance at this point. By the time I crawled to the top my “support team” came zipping up. I will be honest…. I wanted to get in. I begged hubby to tell me to keep going. I was hot. My quads were threatening to leave my body after the hill not to mention almost 26 miles on them. I cried a little on the side of the car. Those voices were talking. Those horrible, damn voices. I know them. They’ve showed up when I’ve run both marathons about mile 21-23. Those voices talk to you and try and convince you that you can’t do it, maybe you should quit, give up, take the easy way out. You must use every bit of mental muscle to stomp them down….sometimes you have to stomp hard. I had already given myself the pep talk that I was counting down single digits to finish. I wasn’t gonna quit. I don’t quit. The other crazy thing? In both marathons, and today, I started craving a Coke in the….worst… kind of way. Crazy ’cause I never was a big soda drinker, and haven’t even had one in… I don’t know how long. That simple sugar your body runs on… when you’re in the midst of long distance running… you aren’t focused on being all healthy… you just need energy. During the marathon I have to let the feeling pass and when I’m done I don’t want it anymore. Today though… I sent my support team off to get one…. Anyway, I was having to double back on my run route to get all my miles in and decided to run a side road which was a mile back and forth and off the main busy road. I knew I had a little over a mile back once I got on main road again. Oh, and this side road I was on, in the beginning, hills, and then running back down… the quads were crying…legs were starting to feel fully trashed. Finally… my watch hit 30 miles… which seemed surreal ’cause I’ve never seen that before… I would’ve done a happy dance if I could’ve moved my legs better…. 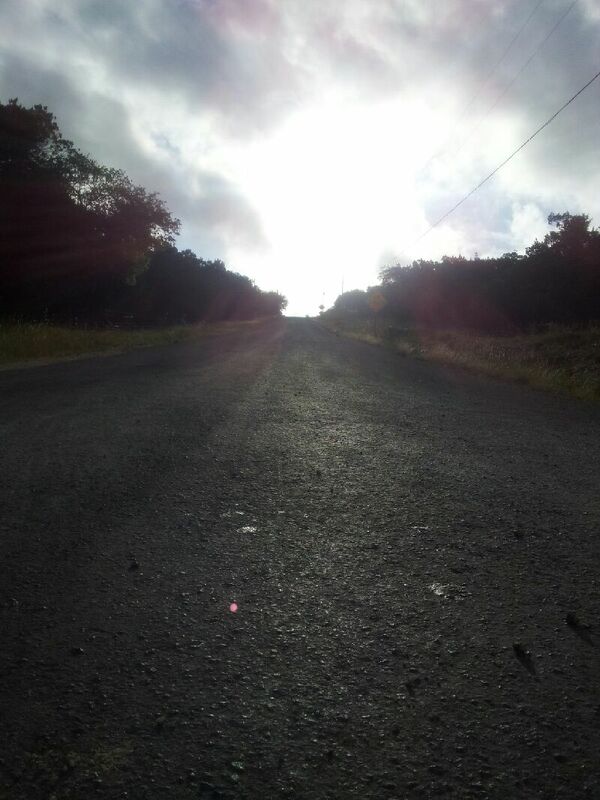 it was finally time to head to my finish line..my mind was pushing my body at this point…. Will I do another next year ? I’m not sure. It’s hard to not always want to take things to the next level, know you could do it a little better. I will tell you… I got home…and crawled onto my bed in the fetal position, not sure if I had the energy to get in the shower. Salt. Dried salt all over me. Crazy. A human salt block. I slept well…. can you imagine ? I think you could’ve moved the house from under me…. And now… I’m plotting and planning what’s next….but first… the body definitely gets a little down time to recover…. the hardest part for me. I read an article suggesting you take one day off for each mile of your race you ran. Yikes… I don’t know about that…. Overall, a pretty productive running month with two half marathons and now this 50K under me. I know some down time is essential, but mentally, I will admit to struggling with it. What about you? Do you like having time off ? When you do a big run, is the recovery time easy ? or frustrating for you? What are some things you do to help the process along ? Share with me. Posted on March 30, 2015 March 30, 2015 Categories exercise, fitness, marathons, run, running, ultra marathons, ultra runningTags 50k, challenge, distancerunning, endurance sports, exercise, fitness, marathon, nike, nike running, ultra, ultra marathon, ultra running2 Comments on I’m An Ultra Girl! So I was cooking along on this cool new topic for you and realized…. Nooooo….. I gotta shelf this for a few days to do a quick post on this exciting topic…. 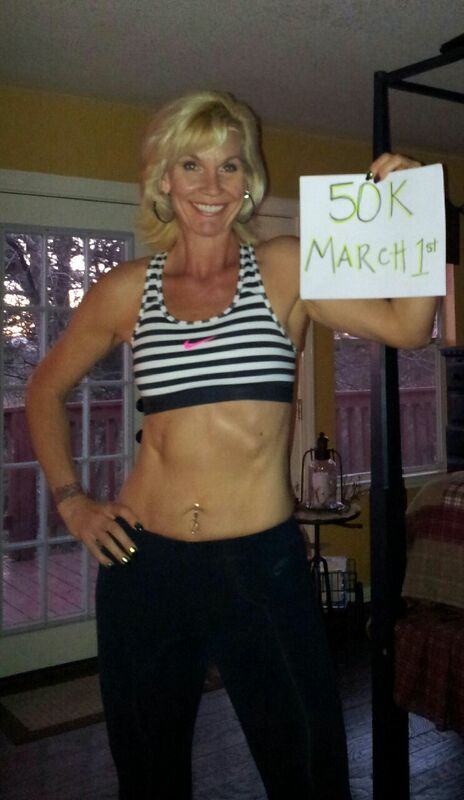 My virtual 50K is on Saturday!! If you’ve followed me you will remember my scheduled “real” race on March 1 got cancelled ’cause parts of Texas wanted to go all North Pole looking….. Anyway, the race event committee gave registered runners the option to do a virtual run, submit a witness form, and get your finishing goodies. I was down for that. Let me say this… virtual run or not….. my body will still be running 31.7 miles! Saturday in Texas land promises a low temp of 49 with highs reaching low 80’s….. yeah…. it’s gonna be a super warm run. My mileage has really been cut down to not much in the past few weeks but maybe that isn’t a bad thing…. I’ve trained up to 28 miles before my scheduled race I just need to kick back and take it mile by mile. I have no one I need to impress. I have no agenda other than to accomplish this distance and know I did it. The only negative ? No medal at my “finish line” I’ll have to wait for that to show up in my mail…. Posted on March 27, 2015 March 27, 2015 Categories exercise, fitness, marathons, run, running, ultra marathons, ultra runningTags 50k, challenge, diets, distancerunning, endurance, endurance sports, exercise, fitness, run, runner, running, ultra marathon6 Comments on Saturday, 50K Day! I came into running all the wrong way. I wasn’t a school track athlete. I wasn’t a trendy 20 something wanting to be cool and do the “jogging” thing in the 80’s. The idea of running for the sole purpose of… running….. was a completely foreign concept to me. THEN….. one day… a well meaning friend said….. I laughed. I told her other people did it, not me. That was June and by July I had committed and was officially registered for my first half marathon. I trained myself and took it on in November. I couldn’t believe I actually ran 13.1 miles. 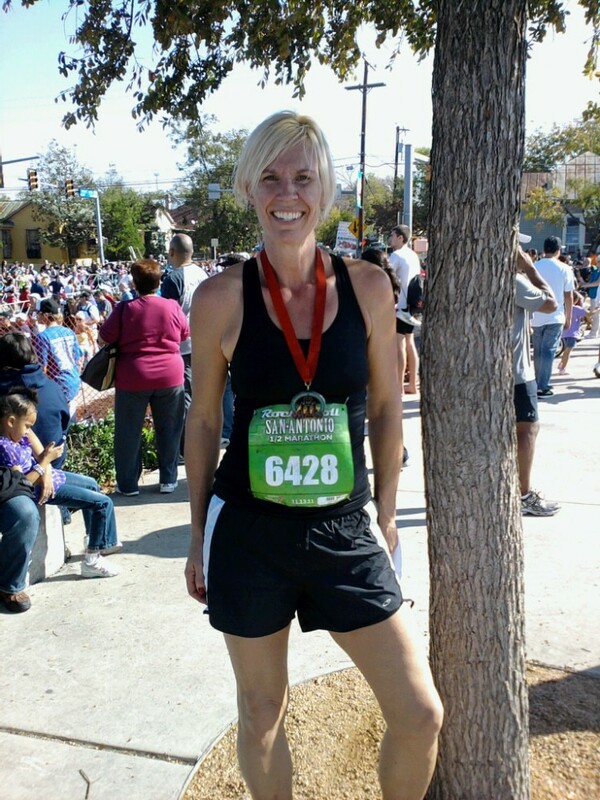 Tired and scraggly after my very first half marathon in 2011. And I gave up running in these types of shorts a long time ago…. I’ve learned a lot since then. I follow a structured training plan now (thank you Hal Higdon) I’ve learned lots of running terms, become particular about what I like to run in, and learned how my body responds to various things. Like I said….. I came into this running thing kicking and screaming in not the most conventional way. All this to say, I’ve taken what I do pretty seriously since I started. I’m intense and every run matters to me. I am horribly competitive with myself…. and hard on myself to. When I sign up for a race, I’m serious about it. Yeah, I get the world won’t stop spinning based on my performance, I’m still kind of intense about it. Which brings me to these other “runs” that are cropping up faster than weeds in the spring time. I’ve been invited to participate in them all. I haven’t….yet…. Can I breathe this out loud ? I guess, that serious, competitive part of me is focused on running and so many of these seem like a big party. Nothing wrong with that. People running happy in costumes, snapping selfies, no worries about PR’s or negative splits. Running is in addition to other stuff going on. This is what I decided one day. I fall into the “serious” runner category…. not the play category. I mean someday I’d like to do a Tough Mudder or Spartan runs… that let’s your total athletic self get used…. but then I think… what if I injured myself in mud…or on a barb wire fence 😉 it would mess me up running. As a runner, I’ve tackled multiple half marathons, two fulls, and a 50K run this Saturday. To me, personally, these aren’t fun and game distances. When I mention this to my fun running friends they get this deer in the headlights look on their face and laughingly tell me……. I’m crazy. Maybe I am…. I kinda prefer the word…serious though 😉 although, crazy IS a pretty cool compliment to a runner…..
What do you think? If you’re a runner do you consider yourself “serious” ? or do you just like to go do something fun and playful? Do you see a difference ? Have you ever done a fun run ?